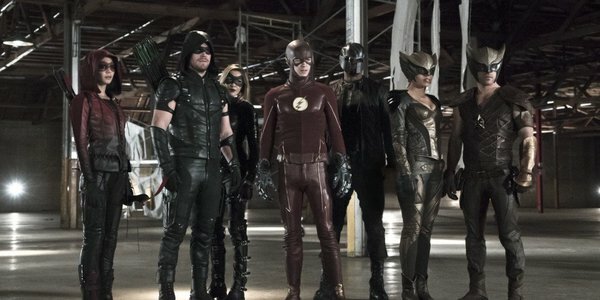 Arrow has accumulated quite the gallery of characters over the years, and viewers have had to resign themselves to the fact that people tend to die rather than ride off into the sunset on this show. One of the few characters who actually did survive a stint on Arrow was none other than red archer Roy Harper, who had to go on the run from the police after he took the blame for Oliver’s activities as the Arrow. He was still alive as of the end of Season 3, and he showed up again in Season 4. Now, actor Colton Haynes has revealed that Roy will return in Season 5. I get to come back on a few episodes of Arrow next year. Colton Haynes’ reveal that Roy would show his face on Arrow again in Season 5 came at the Justice Squad Convention in France (via Heroic Hollywood). Given that Roy is one of the few surviving characters who left the show without being imprisoned or shipped off to a spinoff, he’s the perfect character to bring back to fill just about any role that Team Arrow could ask of him. Extra muscle in the field? Done. A source for outside information? Sure. An archer with a heart of gold to give pep talks to the rest of the team? Absolutely. Roy did come back for an episode in Season 4. He had settled in Hub City under a false name when villain Noah Kuttler tracked him down and forced him to do his dirty work. It was an unfortunate situation for Roy, but at least it brought him back to Star City. 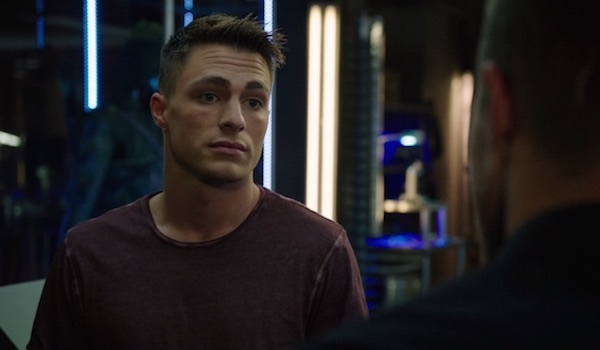 In fact, the only bad thing about Colton Haynes returning to Arrow when he did was that he turned himself into a candidate for the big Season 4 death. The big death turned out to be Laurel as the Black Canary, so Roy is still alive to return to Arrow as Arsenal. He fit right back into the dynamic of Team Arrow for his Season 4 appearance, so there’s no reason to worry that he might upset the balance in Season 5. Colton Haynes recently revealed that he left Arrow due to anxiety that was taking a toll on his health. He’s had to deal with anxiety throughout his entire life, and the media turning a small comment into widespread public speculation about his sexuality made it difficult for Haynes to remain in the limelight. He asked to step away from Arrow for his own sake, but he never ruled out reprising the role later in the series. Arrow is building to the climax of Season 4, and supervillain Damien Darhk is currently looking to destroy the world via nuclear apocalypse, so there’s no saying for sure what Star City will look like when Roy shows up again in Season 5. To see what happens next for Roy’s pals in Star City, tune into the rest of Season 4 of Arrow on Wednesdays at 8 p.m. ET on The CW. Don’t forget to check out our summer TV premiere schedule.